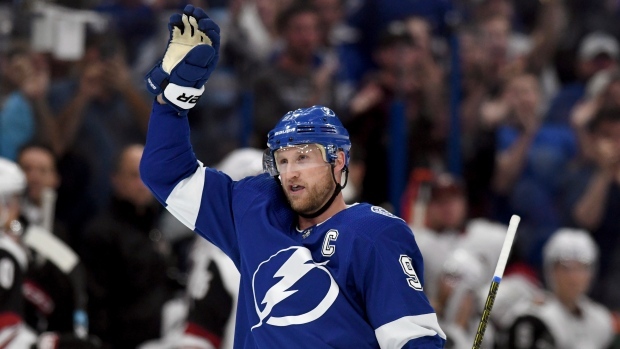 TAMPA, Fla. — The Tampa Bay Lightning earned one trophy on Monday night. Starting next month, they'll be one of the favourites in the chase for the Stanley Cup. "I'm very honoured and humbled to be a part of history like that," said Stamkos, who reached the record in 737 games. "Definitely happy it happened in a win and in a game like that where so many special things that happened."